Generally, we advise clients to use the same general communication principles and considerations when online as when interacting with people in any traditional setting. For example, don’t ignore your guests. 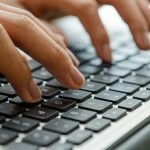 If someone posts something on your blog, try to respond. And when responding, avoid using all caps, which can come across as shouting. The principal difference between your online activity and your in-person social activity — and it’s a big one — is that your online comments have the potential to be seen by a much, much larger audience and those comments are accessible for a long, long time. Unlike a fleeting comment made at a business meeting that may be heard, and potentially repeated by, a handful of people, your online comments could conceivably be seen and shared by millions! That’s great if those comments reflect positively on you and your organization—not so great if they don’t. Business owners, and business professionals in general, need to consider their business, as well as their personal brand, when communicating online by making sure that those communications are aligned and consistent across all channels. While the basic rules of normal human interaction shouldn’t disappear just because you’re online, you also need to consider some nuances of proper behavior specific to the online world. Social Media Current offers some basic tips for general etiquette when using social media for your business. For example, make sure you use an automated spelling checker and proper punctuation. Just as with someone speaking with poor grammar, filling a blog, tweet or Facebook post with words that are misspelled or used in the wrong form (their, they’re, there) makes you look unprofessional and will definitely turn off potential customers and clients. Additionally, don’t spam your social media network. No one wants to be bombarded with a bunch of junk after liking a Facebook page, following a new business on Twitter or signing up to a mailing list. At the same time, try to post often — just make sure your content is relevant and valuable to your audience (i.e., not spam). Social media, like any online activity, can make people feel removed from those they’re interacting with. But communicating with someone online doesn’t mean the rules of polite behavior go out the window. When in doubt, use common sense, and always keep in mind that manners matter in social media. In the online world it’s all about engagement! This entry was posted on Thursday, April 21st, 2016 at 9:39 am	and is filed under Content Marketing, Customer Communication, Internet Marketing, Marketing and Branding, Marketing Communication, Social Media. You can follow any responses to this entry through the RSS 2.0 feed. You can skip to the end and leave a response. Pinging is currently not allowed. This social media etiquette is of particular interest to young people especially university students who not only use social media for platforms for learning and sharing.It goes along way to prove that the basics remain the same even with changes in technology.